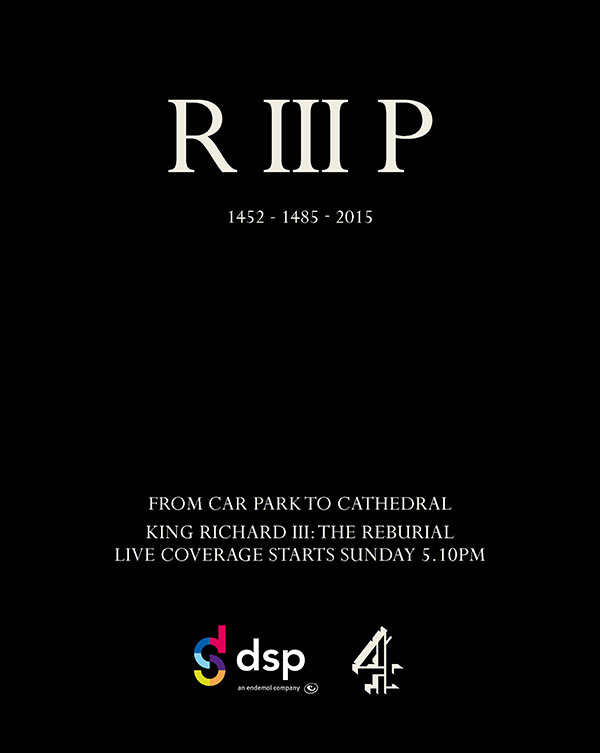 DSP has produced a series of live programmes around Richard III’s re-interment this coming week. Tune in to Channel 4 at 5.10pm this Sunday (22nd March) for live coverage of the royal procession in Leicester. Then watch on Thursday 26th as Richard III is finally laid to rest in Leicester cathedral.